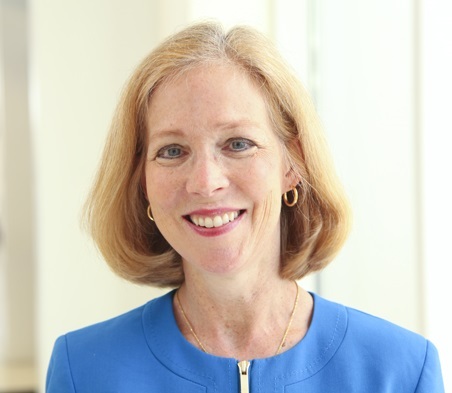 Dr. Bulik holds the first endowed professorship in eating disorders in the United States and is also Director of Research at the UNC Center of Excellence for Eating Disorders. A clinical psychologist by training, Dr. Bulik has been conducting research and treating individuals with eating disorders since 1982. She developed outpatient, partial hospitalization, and inpatient services for eating disorders both in New Zealand and in the United States. Dr. Bulik’s research includes treatment, laboratory, animal, epidemiological, twin and molecular genetic studies of eating disorders and body weight regulation. More recently she has applied information technology to the treatment of eating disorders and obesity to broaden the public health reach of our interventions. She founded and led the 18-country Genetic Consortium for Anorexia Nervosa and is the lead Principal Investigator of the four nation Anorexia Nervosa Genetics Initiative (ANGI). She is the Director of the first NIMH-sponsored Post-Doctoral Training Program in Eating Disorders. She has had continuous federal, international, and foundation funding since 1985. Dr. Bulik has written over 470 scientific papers and chapters on eating disorders, and is author of the books Eating Disorders: Detection and Treatment (Dunmore), Runaway Eating: The 8 Point Plan to Conquer Adult Food and Weight Obsessions (Rodale), Crave: Why You Binge Eat and How To Stop (Walker), Abnormal Psychology (Beidel, Bulik, Stanley; Prentice Hall), The Woman in the Mirror (Walker), and Midlife Eating Disorders (2013, Walker). She is a recipient of the Eating Disorders Coalition Research Award, the Hulka Innovators Award, the Academy for Eating Disorders Leadership Award for Research, the Price Family National Eating Disorders Association Research Award, the Carolina Women’s Center Women’s Advocacy Award, and the Women’s Leadership Council Faculty-to-Faculty Mentorship Award, IAEDP Honorary Certified Eating Disorders Specialist Award, the František Faltus Award from the Czech Psychiatric Society, and the AED Meehan/Hartley Award for Advocacy. She is a past president of the Academy for Eating Disorders, past Vice-President of the Eating Disorders Coalition, past Associate Editor of the International Journal of Eating Disorders, Founding Chair of the Scientific Advisory Council of the Binge Eating Disorder Association, and member of the Scientific Advisory Council of the Global Foundation for Eating Disorders. She is passionate about translating science for the public. Her appearances include the Today Show, Good Morning America, CBS This Morning, CNN Morning, Katie, Dr. Oz, Dr. Phil, and Rachael Ray. She has been featured in many publications including the New York Times, the Washington Post, USA Today, Newsweek, Time, and the US News and World Report.